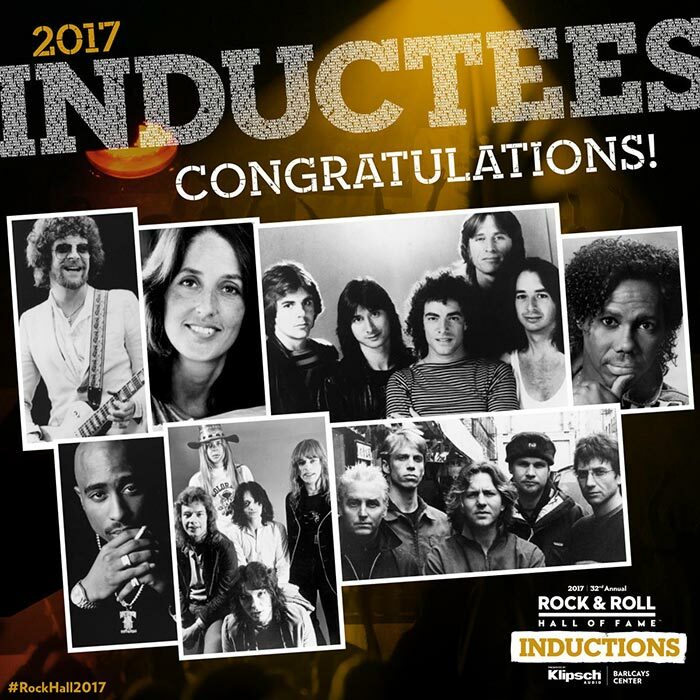 Home > Articles > OFFICIAL ROCK HALL CLASS OF 2017 ROSTER. YOUR OFFICIAL ROCK HALL CLASS OF 2017 ROSTER. The Rock & Roll Hall of Fame is proud to announce that 6 artists from the ballot are included in the Performer Category and 1 individual is recognized with an Award for Musical Excellence. A limited number of pre-sale tickets will be available for Rock & Roll Hall of Fame members in advance of the public sale date. To be eligible for the member pre-sale, you must be an active Rock & Roll Hall of Fame member by December 31, 2016. Additional public ticket details and presale offers will be announced in the future. The special exhibition on the 2017 Inductees will open at the Rock & Roll Hall of Fame in Cleveland on March 30. CONGRATULATIONS TO OUR NEW INDUCTION CLASS.